According to the results of the 2017 Population, Housing and Establishments census, the population in Palestine (West Bank and Gaza Strip) was about 4.78 million people, of which 2.43 million are males and 2.35 million are females. With 2.88 million people (of which 1.47 million are males and 1.41 million are females), the population of the West Bank is noticeably larger than the Gaza Strip, with 1.90 million people (made up of 963,000 males and 936,000 females). The data also indicates a decline in the total population growth rate between 2007 and 2017 to 27 per cent, with an average annual growth rate of 2.7 per cent, compared to 30 per cent between 1997-2017, which had an average annual growth rate of 3 per cent. The average size of a Palestinian family is 5.1 (4.8 in the West Bank and 5.6 in the Gaza Strip). Muslims make up 96.5 per cent of the total population. Christians are a minority (46,850), and other religions account for only 1,384 people. According to the results of the 2016-2017 Palestinian Strategic Report, issued by the Zaytouna Centre for Studies and Consultations, based in the Lebanese capital Beirut, the number of Palestinians around the world was estimated at 13 million, more than half of them (6.6 million or 50.60 per cent) residing in historical Palestine (Israel and Palestine). The rest live abroad, about 75 per cent of them in neighbouring Jordan, Lebanon, Syria and Egypt. Palestine is a member of the League of Arab States, and Arabic is the dominant language. Palestinians in the Gaza Strip are on average younger than in the West Bank. In 2017, the percentage of the total population in the 0-14 age group was 38.9 per cent, 36.9 per cent in the West Bank and 41.8 per cent in the Gaza Strip. The percentage of people aged 65 years and over was low at 3.2 per cent, of which 3.6 per cent in the West Bank and 2.8 per cent in the Gaza Strip. In the same year, the overall fertility rate was 4.4 births per woman. 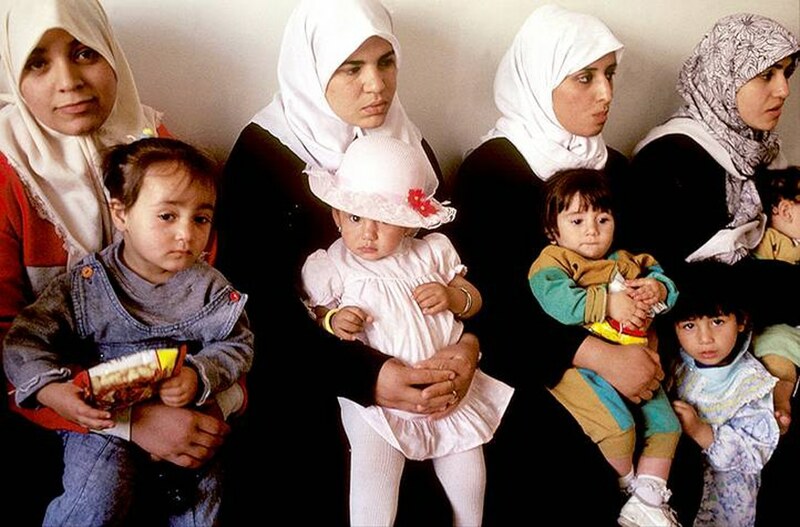 In the West Bank, this was an average of 4.3 births per woman, compared with 4.5 births per woman in the Gaza Strip. The life expectancy rate has increased by six to eight years over the past two decades, rising from 67 years in 1992 to 72.7 years for males and 75 years for females in 2017, with this figure expected to increase in the coming years. In 2017, the population density (West Bank and Gaza Strip) stood at 794 people/km2. The Gaza Strip is considered to be one of the most densely populated areas in the world, with 5,204 people/km2, about ten times the population density of 510 people/km2 in the West Bank. The population of the Gaza Strip (1.90 million) is distributed over five governorates, and Gaza City accounts for 34 per cent of that. This is followed by Khan Younis with 19.6 per cent, northern Gaza with 19.4 per cent, and Deir al-Balah and Rafah with 14.4 per cent and 12.4 per cent respectively. The population of the West Bank (2.88 million) is distributed over 11 governorates. Al-Khalil (Hebron) leads the way with 25 per cent, followed by Jerusalem with 14.7 per cent, Nablus with 13.7 per cent, Ramallah and al-Bireh with 11.4 per cent, and Jenin and Bethlehem with 10.9 per cent and 7.6 per cent respectively. The rest of the population is distributed over the remaining governorates. In 2017, the urban population (West Bank and Gaza Strip) was 77 per cent; the rural population was 15 per cent, with the remaining 8 per cent living in camps. About half of all Palestinians are political refugees. The largest group of refugees was created in 1948-1949 as a result of the proclamation of the State of Israel and the ensuing war. The estimated 750,000 Palestinian refugees originated from Palestinian territories which became part of the State of Israel after 1948. The huge stream of refugees was generated both by the hostilities and by a campaign to ethnically cleanse the region of the Palestinians, devised first by the Jewish armed forces and then the Israeli army (see for the views of Israeli historian Ilan Pappé and others al-Nakba under Israel). 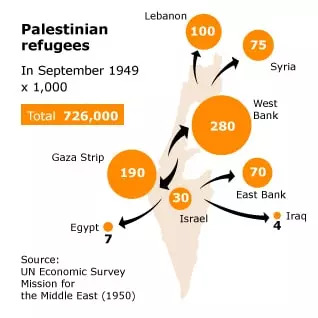 350,000 of the 750,000 Palestinian refugees ended up in the West Bank, the number of inhabitants thus almost doubling from 450,000 to 800,000, with refugees making up 44 percent of the population. Another 200,000 Palestinians fled to the Gaza Strip, thus more than tripling the population there from 80,000 to 280,000. Refugees currently make up about 70 percent of the population (in 2006, this was 31 percent in the West Bank and 78 percent in the Gaza Strip). Palestinians fled to safety in neighbouring regions. Refugees from Beisan (Beit Shean), Tabariya (Tiberias), Yafa (Jaffa), al-Lidd/Lydda (Lod), Ramla and Bir al-Sab (Beersheba) thus mostly ended up in the West Bank, which had fallen into the hands of Transjordan in the course of the war of 1948-1949. The refugees in the Gaza Strip, which came under Egyptian control, originated from the neighbouring region in the north, from Isdud (Ashdod) and al-Majdal Asqalan (Ashkelon), cities which had been tied to the Gaza Strip since ancient times. Driving out the Palestinian population, the Jewish armed forces, and later the Israeli army, made no distinction between Muslims and Christians. An exception was the small Druze community in the north of Palestine, which was left in peace. Massacres took place, such as in the Palestinian village of Deir Yassin (Dayr Yasin) on 9 April 1948, in order to set in motion the stream of refugees. Another explanation for the massive upheaval, apart from fear of violence, is that the Palestinian society was still very traditional in those days, and that the maintaining of family honour was viewed as vital. Fear of violation of the honour of the women – and thus of the family’s honour – in a war situation also incited the Palestinians to flee elsewhere in family units. The Bedouins make up a separate category. Of the approximately 150,000 Bedouins living in Palestine, between 25,000 and 30,000 live in the West Bank, especially in the Jordan Valley. 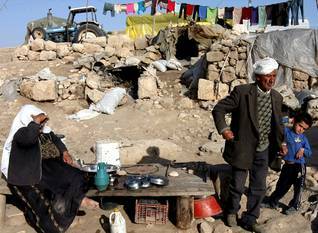 There is also a small Bedouin community in the Gaza Strip. The majority, however, live in the adjacent Naqab (Negev desert), which has been part of Israel since 1948. The Bedouins are organized in tribes and have been living as semi-nomads since early times. In search of fodder for their herds, they roam the mountains in springtime, returning to the valleys later in the year in order to winter. Their characteristic black tents, made of goats’ wool, can also be seen elsewhere in the West Bank, even near the edges of the large cities. However, the Bedouin way of life is under threat as a result of stringent restrictions on their freedom of movement imposed by the Israeli occupying forces in the Jordan Valley (and elsewhere) as their presence interferes with Israel’s plans for this region. Prompted by strategic and economic considerations, the construction of Jewish settlements has concentrated especially in the Jordan Valley since 1967. There is plenty of fertile arable land in the Jordan Valley, a good supply of water and favourable climatological conditions. As such, there is a much stronger economic basis for Jewish settlements here, and these have since seized a large portion of the available water supplies. The curtailment of access to large parts of the Jordan Valley, and a lack of water, thus pose a threat to the Bedouins’ economic subsistence, and to their unique way of life. Like most other Palestinians, the Bedouins are Arabs – they are sometimes even idealized as ‘pure’ Arabs. However, non-Arabs also frequently settled in the region encompassing present-day Palestine after the arrival of the Arabs in the 7th century. Moreover, it must be noted that Palestine was part of the Ottoman Turkish Empire for a period lasting four centuries – a multi-religious, multi-ethnic state with no interior borders. For centuries, Jerusalem and Hebron attracted many Jewish, Christian and Muslim pilgrims. Those who stayed often became fully integrated into the Palestinian society, their family name being all that remained of their foreign background. The presence of the Armenians dates back several centuries prior to the Arab conquest of Palestine, notably in the period after the King of Armenia converted to Christianity. Many Armenian refugees joined them in later times. They too are fully integrated into the Palestinian society. The Armenian Palestinians (or Palestinian Armenians) are Christians. In Jerusalem’s Old City, there is also a separate Armenian quarter besides Christian, Muslim, and Jewish quarters. Here, on wall placards and in a museum, visitors are reminded of the Ottoman Turkish genocide of the Armenian people in 1915. Today, the Armenian community still numbers about 10,000, most of whom live in Jerusalem. The Samaritan presence also dates back to long before the Arab conquest. The approximately 700 members of this religious community regard themselves as descendants of the northern tribes of Biblical Israel (Israelites). They live in a region which they themselves call Samaria (hence their name). The Jews, on the other hand, are said to be descendants of the southern tribes (Judeans) of Judah or Judea. The Samaritans claim that they are the upholders of the true Hebrew belief. The Samaritans and Orthodox Jews diverge on several points regarding religious issues and they practice different rituals. 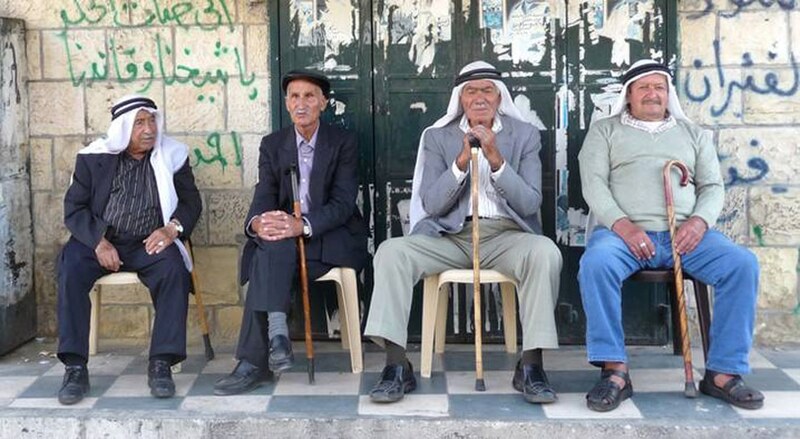 The Samaritans speak Hebrew and Arabic and are concentrated in the region of Nablus, where Mount Gerizim (Jabal Jarizim), their most important holy site, is situated. According to tradition, it was here that Abraham was put to the test by God and almost offered his son Isaac (according to Jews and Christians, Ishmael according to Muslims) for sacrifice (Orthodox Jews claim that this took place on the Temple Mount in Jerusalem). Throughout the centuries – i.e. before the arrival of Zionist Jewish settlers at the end of the 19th century – small communities of religious Jews maintained a presence in Jerusalem and Hebron (and elsewhere in Palestine). In the first half of the 20th century, their position came under severe pressure as a result of the actions of Jewish settlers in Palestine, who were adherents of political Zionism (adherents of religious Zionism, which is closely tied to Jewish beliefs, rejected the secular ideology of political Zionism). With almost 4,505 inhabitants per square kilometre (Palestinian Central Bureau of Statistics, 2012), the Gaza Strip is one of the most densely populated regions in the world. The situation worsened after Israel annexed about a third of the territory in the Gaza Strip after 1967 on behalf of the Jewish settlers (eventually, in the summer of 2005, Israel removed the Jewish settlers from Gaza, and their settlements were dismantled). Moreover, the population density is not equally distributed. Although barely conceivable, today in the Shati refugee camp in the north of the Gaza Strip, 76,000 Palestinians are packed together in less than one square kilometre. The West Bank is nine times less densely populated than the Gaza Strip, with 468 persons per square kilometre (Palestinian CBS). The overpopulation in the Gaza Strip is predominantly a result of the huge influx of Palestinian refugees, and the strong population growth. In this regard there are again differences between the West Bank and the Gaza Strip. In 2012, the population growth in the West Bank was 2.6 percent, whereas in the Gaza Strip it was 3.5 percent. For Gaza, this is a remarkable drop in comparison to 1992, when the population growth was 7.8 percent – a world record. In 2007, an average family in the West Bank numbered 5.6 persons, in the Gaza Strip it was 6.3 persons. The degree of urbanization in the Gaza Strip is much higher than in the West Bank. Including the inhabitants of the refugee camps, 58 percent of the inhabitants in the West Bank were living in an urban environment in 2002, compared to 95 percent in the Gaza Strip. 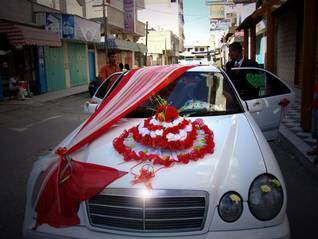 People get married at a very young age in the Gaza Strip. Socio-economic factors – which in turn are irrevocably tied to the occupation – play an important role in that regard. As the economy is unable to offer sufficient employment opportunities, higher education has often offered more favourable work perspectives elsewhere – for example, in the emerging oil producing countries in the Persian Gulf. As a result, the average age of marriage has risen significantly. On the other hand, the large demand for unschooled Palestinian labourers in the Israeli economy after 1967 brought about a drop in the average age of marriage. Although the legal age for marriage is eighteen for men, and seventeen for women (it is possible to diverge from this rule with the permission of the qadi, the judge), in 2012, 44 percent of brides were between 15 and 19 years old (Palestinian CBS). Hardly any marriages take place between refugees and the indigenous inhabitants of the Gaza Strip (in 1997 less than 2 percent). The gulf between both groups remains substantial. As women traditionally move in with their husband’s family after getting married, for women living outside the refugee camps marriage to a refugee is hardly an appealing prospect. Male emancipation can generally only be achieved through a successful career in society or politics. Over the years, a substantial group of refugees has managed to take up residence outside the refugee camps in the West Bank as a result of the more favourable economic and geographic potential. In the West Bank, this has stimulated the integration with the indigenous inhabitants. Because of the high birth rate, the population in Palestine is very young. In 2013, 40.7 percent of the inhabitants were between 0 and 14 years old, 56.4 percent were between 15 and 64 years old, whereas three percent were 65 years old or older (with an average life expectancy of 72.5 years), according to the World Bank. In 2011, moreover, 43.8 percent of the inhabitants in the Gaza Strip and 38.6 percent of inhabitants in the West Bank were younger than 15 years old (Palestinian CBS). Expulsion, occupation, and unfavourable economic potential drove many Palestinians to leave the country after 1948 in the hope of building a new future elsewhere in the world. Others had preceded them, albeit in smaller numbers. From the end of the 19th century it was Christian Palestinians in particular who, in the context of missionary school education, found their way to North and South America and immigration destinations elsewhere in the Western world. It was always easier for Christian Palestinians to emigrate because of their higher level of education. Most settled in their new fatherlands and were eventually naturalized. However, the ties with the family they had left behind usually remained intact. Opportunities arose for Palestinians, both Muslim and Christian, with the rise of wealthy oil producing countries in the Persian Gulf from the middle of the 1950s. This was an unforeseen effect of the education programs offered by UNRWA. Tens of thousands of educated (in addition to unschooled) Palestinian labourers made a valuable contribution to the rise of a number of modern Gulf States. However, emigration was seldom permanent as it was almost impossible to obtain citizenship in the Gulf countries. 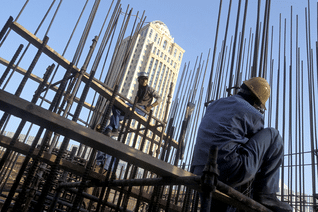 Upon termination of the employment contract, the workers were (and are) forced to leave the country. This rule was dramatically enforced during the Kuwait crisis in 1990-1991, after Iraq’s invasion of Kuwait under Saddam Hussein. After the liberation of Kuwait, about 200,000 Palestinians were forced to leave Kuwait and other Gulf States because of the Palestine Liberation Organization‘s (PLO) pro-Iraq position. Destitute and often bereft of their possessions, they returned to the Gaza Strip, the West Bank, or (as Jordanian passport holders) to Jordan. After Israel and the PLO signed the Oslo Accords (in 1993 and afterwards) about 100,000 Palestinian political exiles could return to Palestine – albeit under completely different circumstances. There, they formed the core of the Palestinian National Authority (PNA), which formally administered parts of Palestine. The vast majority of the population in Palestine is Sunni Muslims, constituting 96.6 per cent of the total population – 95.3 per cent of the population in the West Bank and 98.4 per cent of the population in the Gaza Strip. There are 46,850 Christians, mostly in the West Bank, according to the results of the 2017 census. Palestinian Muslims are Sunni Muslims, adherents to the main branch within Islam. All Muslims are obliged to fulfil five acts, the so-called Five Pillars of Islam: the creed (al–shahada) ‘There is no God but Allah and Muhammad is his messenger’; daily prayers, five times a day (al-salat); almsgiving (al-zakat); fasting during Ramadan (al-sawm); and the pilgrimage to Mecca (al-hajj). In addition to the Five Pillars, there is the duty to defend the community of believers (umma) against unbelievers and apostates in their own community (jihad). Sunni religious leaders are not organized hierarchically. Moreover, there are loose ties between the believers and the religious leaders. Three different roles can be distinguished: the imam (worship leader), the qadi (judge) and the mufti (expounder of Islamic law). The qadi presides over issues related to family law, such as marriage, divorce and inheritance. Most Palestinian Muslims adhere to the Hanafi school of law, one of the four existing schools of law within Islam. The mufti is authorized to issue fatwas (opinions), which serve to guide Muslims. In many cases, the higher religious echelons have spent many years reading theology at the leading al-Azhar University in Cairo (Egypt) – the Vatican of the Sunni world. Practising Muslims pay religious tax (khums) to religious dignitaries. Before the arrival of Arab conquerors in the region in the first half of the 7th century, the majority of the local inhabitants were Christian. Holy sites such as in Jerusalem, Bethlehem and Nazareth, have led to the foundation of a wide variety of churches in this region since early times. The Roman (Catholic) and Eastern (Orthodox) Churches are divided, for example. These divisions usually arose as a result of strong theological differences and disputes. In the 12th century, the crusaders further sharpened these differences by offering the Roman Catholic Church leeway, and displaying an openly hostile attitude towards the Eastern Church. Centuries later, with the Ottoman Turkish Empire weakening, emerging Western imperialist powers also contributed to the deteriorating relations by entering into special relationships with kindred Christian communities (the French with the Roman Catholics, the Russians with the Orthodox, the British and Prussians with Protestants). These divisions still remain today, and are manifest in crippling rivalries. The number of Christian Palestinians in Palestine is currently estimated at 50,000, of whom 47,000 live in the West Bank and 3,000 in the Gaza Strip (the figure of 76,000 is also sometimes mentioned). As such they make up around 8 percent of the population of the West Bank and 0.7 percent of the population in Gaza (source: CIA World Factbook). 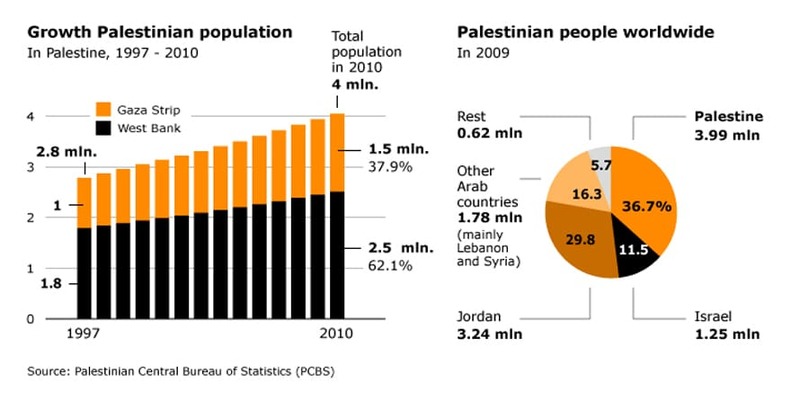 Although the number of Christian Palestinians has remained more or less stable over the past decades, their proportion of the total population in the Palestinian Territories has strongly decreased, partly as a result of the relatively high migration numbers (in the early 1990s twice as many as Muslim Palestinians migrated), but especially as a result of a far greater population growth within the Muslim community. The number of children in Muslim families was almost twice the number in Christian families in the period 1967-1996. About 80 percent of the Christian Palestinians live in an urban environment. In the West Bank, they are concentrated mostly in Jerusalem and its vicinity: Bethlehem, Beit Jala, Beit Sahour, Ramallah, Bir Zayt, Jifna, Ein Arik, Taybeh (al-Tayba). Until 1948, the atmosphere and composition of these cities were predominantly Christian. This has changed as a result of the influx of refugees and urbanization. Today, Christians make up a mere third of the inhabitants in cities such as Bethlehem and Ramallah. 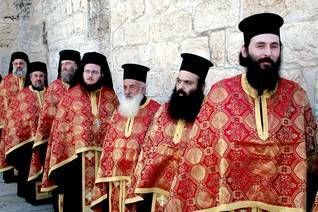 There are fifteen recognized Christian Churches in Palestine. By far the largest is the Greek Orthodox Church (with 52 percent of the Christians), followed at a distance by the Roman Catholic Church (31 percent) and the much smaller Greek Catholic Church (Melkites; 6 percent) and the Protestant churches (Lutherans, Anglicans; 5 percent). There is also a small Armenian Church. The remaining church communities are small; their presence is related to the special position of Jerusalem and Bethlehem in Christianity. In Palestine, religious law courts (either Muslim or Christian) handle matters falling under the scope of family law, such as marriage, divorce, and succession. Marriage takes place in front of the imam or priest; civil marriage does not exist. Funerals are also organized by the mosque or church. In other words, regardless of someone’s religious beliefs, the mosque and the church are institutes which cannot be bypassed. 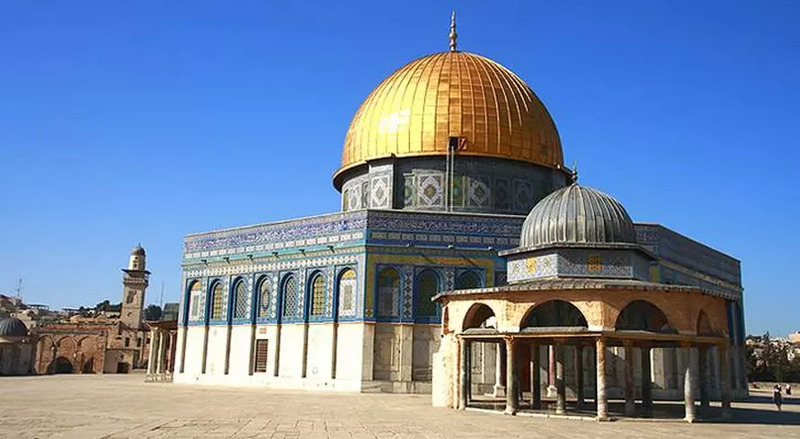 Today, it is almost impossible for Muslims and Christians from Palestine to visit Jerusalem or its holy sites. Only on important holidays are a limited number of permits issued by the Israeli occupying forces for a one-day visit, and these have to be applied for long in advance.